I hate trends, but I like movements. Trends come and go. They fluctuate, sometimes for no reason. They are a whim turned into an idea that gained traction and got copied. All of which is pretty crappy. Movements occur when a group of people realize where they are and where they need to be, then start moving in that direction. This is what I would love to see from Cannes this year. Where are we now? In a position to peek behind the curtains of the world’s newest and oldest, smallest and largest, most interesting and fascinating companies. And there we are shown some of the world’s most exciting problems. Our privilege here is ignorance. Sometimes at Wieden + Kennedy, you hear the maxim, "Walk in stupid every day." This (I think) means having your eyes open to everything, assuming nothing and ultimately being curious and nosy all the time. Traditionally, when we have been allowed into these companies, we have solved a very limited number of problems with stories and pictures and words. We have done this for two reasons: First, because the people showing us around these companies and giving us "briefs" have limited what we were allowed to see. And second, because we went in knowing what format we would use to solve whatever they showed us. It doesn’t have to be this way, on either end of the equation. As an industry, we have been finding elegant solutions to tough problems for decades. This year, I’d like to see these problems presented a little more honestly. And I’d like to see the solutions be a lot more good. In the 1980 movie "Brubaker," Robert Redford’s character gets himself put into prison to see what it’s like from an inmate’s point of view. Only later does he reveal that he is, in fact, the new warden. He gets to witness the corruption and abuse freely. Nothing is hidden from him, because he is no one. Now, completely forget the corruption and abuse part, and I look far more like a monkey than I do Robert Redford, but some part of the example holds true. With our clients, we are outsiders invited into insider cultures. It’s up to us to see what is being ignored. It’s for us to question what is simply accepted as commonplace. Personalized Coke cans solved a real problem: How to make a brand and product that had become utterly ubiquitous feel intimate again. This required a brave client in Australia to first admit that ubiquity might not always be a benefit, then to buy the non-film-based, non-narrative solution that Ogilvy presented. It might be a few years old now, but it’s a great example of what smart problem solvers can do when given access to the real problems. This is what I’d love 2015 Cannes to be about. First admitting that our history is limiting and nostalgia gets us nothing. Then championing the bravery of clients to allow great minds to see — warts and all — what is happening. And finally, awarding the people who solve these problems in the most elegant ways. The solution might be another product, it might be music, it could be a new use of AI, or maybe it’s simply helping with a new business structure or collaboration. If I look at the decades of work that the industry has produced, and the shoulders we collectively get to stand on, I do feel like it has all helped us get here: advertising as training for problem solving. 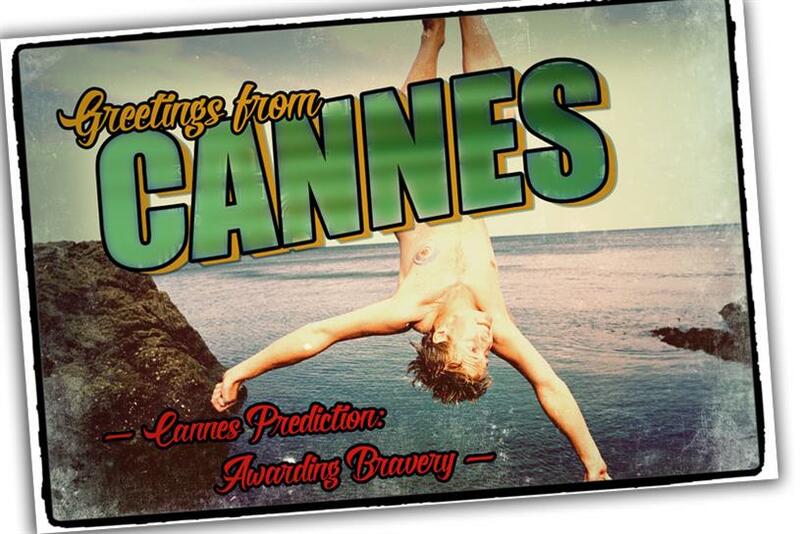 Follow all our Cannes coverage via our dedicated blog. Joe Staples is executive creative director with Wieden + Kennedy Portland.